Pre-Stack Pro is pre-stack seismic analysis software that combines pre-stack visualization, processing, and interpretation in one powerful platform. By having it on your desktop, you can QC data, improve data quality, and generate the exact stacks and attributes needed to target promising anomalies. NEW! A Petrel link to Pre-Stack Pro via an Ocean plug-in. Easily transfer data between your Petrel and Pre-Stack Pro projects. For more info about the plug-in see our flyer below. If you are interested in purchasing a license, contact our sales team. Big Data Needs Big Throughput! Pre-Stack Pro is a fully-parallel computing platform, designed to make pre-stack analysis easy and efficient. We’ve leveraged HPC cluster computing technology, and deliver it on compact, affordable hardware systems. It runs fast on workstations, and faster on multi-node machines. We store and access complete pre-stack datasets on parallel storage servers. Each processor reads and writes parts of a larger file, speeding I/O dramatically. We use Fraunhofer’s GPI to create an aggregated memory architecture. You can load large gather subsets to memory, work with raw and processed gathers and multiple stacks in a common data pool. Pre-Stack Pro is Cloud Ready. We render graphics on the server, and send high-frame-rate streams to your client. You can access the application from anywhere, using a standard office PC. Workstation systems now ship with up to 32 cores, and have plenty of firepower for routine tasks. Larger systems provide even more throughput, and can be shared by multiple concurrent users. Parallel I/O underpins Pre-Stack Pro’s file access architecture, and is critical for fast pre-stack computing. We copy your gathers to a parallel file system, which distributes data to many servers and disks. This increases bandwith dramatically, so you can quickly read data to memory in large chunks. File contents are indexed automatically, so you can easily extract key lines and subareas from large SEGY files without reading all traces. Parallel I/O is highly scalable, so read/write speeds increase on larger servers. Midrange systems can read 1TB gathers to memory in less than an hour. You’ll spend less time accessing data, and more time working with it. The bigger the data, the more you need visualization. Most legacy software displays a few gathers at a time – we show you thousands, so you can learn more about your data. This also means you need less time to QC your contractors’ results. With Pre-Stack PRO you can look at every gather before lunch. We’ve torn down the wall between processing and interpretation. PSP combines visualization, data processing, stacking and maps in one place. Interpreters can instantly see the effect of all processing steps on live 3D volumes. Small changes to stack mutes can have surprisingly big effects. In Pre-Stack Pro you can see how each offset or angle trace contributes to the stack – in 3D, in realtime. If it’s degrading the image, you can mute it away. Big improvements in data quality can sometimes be achieved without any additional gather processing. We work with horizons and velocity data, so that you can focus on target events in the angle domain. Pre-Stack PRO can apply angle mutes, generate angle gathers and deliver custom angle stacks and AVA attributes for interpretation. Why pay extra for these products, when you can make them yourself? Seismic data commonly contains coherent and random noise that interferes with key reservoir reflections. We offer high-quality algorithms that remove residual noise and enhance continuity of gathers and stacks. You’ll benefit immediately with better well ties and improved fluid discrimination on reservoir events. Pre-Stack Pro’s high-resolution Radon transform accurately targets multiples with small differential moveout, without the primary leakage seen with the conventional transform. Our interactive mute tool helps you target and confidently remove these events, as well as other forms of dipping or aliased noise remaining after migration. We offer an array of image processing techniques for removing random noise from 2D and 3D datasets and improving AVO amplitude integrity. 2D Anisotropic Diffusion filters reduce offset-dependent noise before stacking, without distorting wavelets. 3D Dip/azimuth-steered median and diffusion filters dramatically reduce random noise on stacks and speed automated interpretation. Pre-Stack PRO’s modern parallel compute engine even has the throughput needed to filter each offset class independently, and reassemble as noise-cancelled gathers. All those steps simply produce one thing: reliable data. Pre-Stack Pro has all the tools needed to flatten gathers, balance frequencies, and scale amplitudes using well data. Most seismic data are processed to optimize image quality. After standard processing, residual moveout, wavelet stretch, and transmission losses may be obvious on gathers. If they aren’t corrected, AVO reliability and pre-stack inversion results will suffer. Pre-Stack Pro can apply automatic, continuous velocity picking to raw migrated gathers, or correct for residual moveout that remains after final processing. Large velocity errors can be corrected using semblance-based RMO (2nd and 4th-order), which perturbs input velocity data and outputs gathers and updated velocities/ETAs. Gather alignment can be further improved by estimating and applying time-variant 3D time shifts that maximize cross-correlation in the offset direction. Even after careful “true-amplitude” processing, real gathers may require additional amplitude and frequency balancing in order to match the AVO response predicted from wells. Spectral balancing matches the frequency distribution across offsets and minimizes NMO stretch, while still preserving the AVO amplitude trend. Our offset-dependent scaling tools construct simple, offset-dependent gaining functions by calibrating AVO response to trends predicted from synthetic gathers. Pre-Stack Pro saves you time and money by streamlining often-used tasks. Apply any filter or effect, and instantly see the result on your data. You can automate any custom process sequence with just a few mouse clicks. Just select the output volumes you want, and Pre-Stack Pro creates a workflow. Our workflow engine manages the flow of data from disk to RAM, so you can process complete 3D surveys with any hardware setup. Reuse any batch flow by loading it and selecting new data. We encourage sharing – send colleagues a small settings file and they can apply it to their project. Customize any process just by opening it in the flow manager. After you’ve made changes to the setting, save it. Build a library of workflows, and share what works. Instead of manually performing each processing task, save and run the complete sequence as one batch action. Better data is a requirement, but not the end goal. We want to help you drill the very best prospects. To shorten decision time, we show you how details influence the big picture. It’s all about the map. From your original stacked interpretation, you can create pre-stack horizons, extract pre-stack amplitudes, and display them as data rich maps. Our pre-stack map viewer displays amplitudes for millions of offset or angle traces, across the entire 3D survey. The results will help you identify spatial changes in AVO amplitude, and target hydrocarbon anomalies. Make better informed decisions on your prospects, confident that you’ve looked at ALL the data. Cross-plots can be generated quickly from any partial stack or pre-stack attribute, and refined by limiting plotted points to specific polygons. Polygons can also define specific cross-plot sub-regions, and be used to generate overlay masks showing point locations in map view. Add cross-plot overlays to generate custom attributes and delineate fluid changes and reservoir quality variations. Cross-plot inputs may be selected from any map, horizon attribute, or 3D volume. Unlimited polygon sub-regions may be defined in map or seismic views. Cross-plot pairs from multiple polygons can be added to a single cross-plot window and coded by polygon color. Polygons may be defined in any cross-plot viewer and used to generate masking functions, to identify the associated points in map and seismic viewers. Masks are updated dynamically, so changes in polygon shape or location are immediately updated in the mask. Trend lines and other overlays may be defined in cross-plots windows and used to generate custom attributes from linear combinations of the cross-plotted points. These are useful for delineating fluid and lithology trends in the seismic data. Use our new Wavelet Tool to shape seismic spectra and carry out quick, robust relative impedance inversions. Construct model wavelets, create and apply matching filters, and get fast, interactive colored inversion. 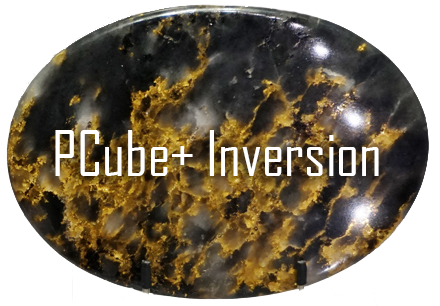 P-Cube is a pre-stack inversion method developed by Statoil and the Norwegian University of Science and Technology (NTNU). The method computes the probabilities for different lithology-fluid classes from seismic data and geological knowledge. Results are output as 3D probablity cubes, which predict the likelihood for each Lithology-Fluid class in every seismic sample. When time is short, you need to maximize interpretation efficiency. We’ve built the tools to help. With the Horizon Tools module, you can track promising events on stacked volumes, snap or track the picks on gathers, and extract all amplitudes and AVA attributes in just a few mouse clicks. Pre-Stack Pro can take you from virgin data to a portfolio of promising amplitude leads in just a few short days. Our parallel, in-memory architecture dramatically accelerates automated interpretation. Just drop in a few seed points, and let it fly. Change any tracking parameter, and see the result on the full survey in seconds. QC and error correction are key to successful auto-tracked interpretation. We take a fresh approach to QC, and have improved the standard editing tools to accelerate error correction. Despiking and median filtering with or without interpolation. Three gridding methods are included: Inverse Distance Weight, Moving Average, and ABOS. Extend any stacked horizon to pre-stack gathers for high-definition amplitude work. Our AVO-friendly algorithms can fit horizons to specific pre-stack events, or extract within windows to deal with high noise levels or preserve phase changes. Results can be displayed as pre-stack amplitude maps, or as a stack of amplitude maps computed at every incidence angle. 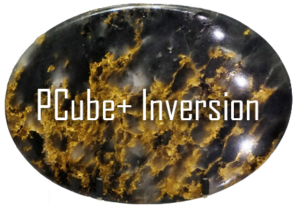 Computing Center to offer its PCube+ pre-stack seismic inversion directly in Pre-Stack Pro. Enhance your study with a full pre-stack inversion to estimate reservoir thicknesses, lithologies, and fluid fill from fully-conditioned seismic and well data.